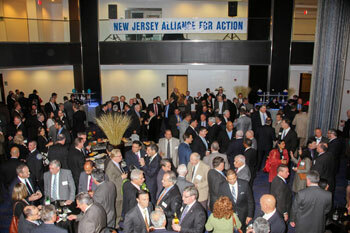 Over 2,500 of New Jersey's top corporate, labor, professional, academic and governmental representatives are members of the NJ Alliance for Action. The Alliance's mission is to improve New Jersey's economy through the promotion of capital construction and infrastructure investment. Additionally, the Alliance has been recognized as one of the State's best associations for networking opportunities. In addition to our constant advocacy, every year the Alliance hosts more than two dozen meetings on a variety of different subjects featuring speakers and presentations on major initiatives and projects. Speakers have included Governors, federal and state elected representatives, cabinet officers, authority representatives, labor leaders, and corporate officials. Check our interactive timeline to view our recent projects and history. Watch our video to learn more about what we have done for New Jersey. Already a member? Please click here for any inquiries.